Platinum Games' online brawler Anarchy Reigns has finally received a release date for Western shores. Americans will get the chance to play this on January 8th and Europeans will join in on the beat down a few days later on January 11th. Anarchy Reigns was all set for a release earlier in the summer, but it only found its way to Japanese shelves after SEGA reshuffled all of its European offices and announced a change in focus to digital distribution. Now, it's kind of speculated that this will be SEGA's last niche physical release with them only giving Sonic the Hedgehog and franchises that actually make money a chance for the retail market. It's a little fitting, too. Something about this game just screams "SEGA GENESIS!" at me. Maybe it's the oozing rebellious attitude, wild colors used in the character design, or just the niche appeal that keeps many Genesis exclusives still relevant today, but there is something about this title that feels like it's the right game for the old SEGA to ride out into the sunset with. 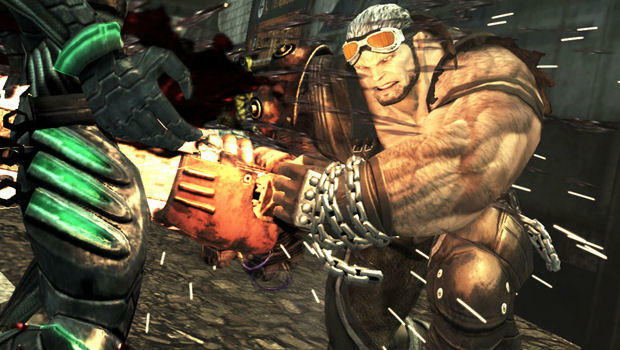 Anarchy Reigns pits 16 players together on huge open maps and allows them to compete in a wide variety of gameplay modes. It will be released for the Xbox 360 and PlayStation 3. Platinum Games' next two projects, Bayonetta 2 and Wonderful 101, will be created with help from Nintendo and are currently Wii U exclusives.